Opportunity Zones: What are they? How do they work? Why do they work? This OIX blog post regarding Opportunity Zone (OZ) tax incentives is the first in a recurring series intended to provide a variety of information, commentary, and intelligence on how this latest economic development program is functioning. This post will provide a simple overview of OZs, while future posts will dive deeper into how OIX technology solutions and our SaaS platform offer OZ fund managers an effective application to administer fund activities. Thanks to some recently-enacted tax legislation resulting from the 2017 Tax Cuts and Jobs Act (TCJA) taxpayers can defer capital gains liabilities when investing in underserved communities across the US. These regions are called Opportunity Zones, and the tax incentives that come along with them are designed to boost long-term public-private sector investment in low-income urban and rural communities throughout the country. 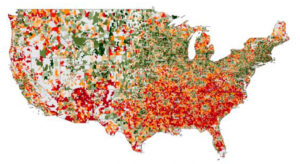 There are major geographical disparities when it comes to private sector investment in the US. The country has been relying on just a handful of places to generate its growth – with five metro areas cranking out as many newly-formed businesses as the rest of the US put together (between 2010 and 2014). While a handful of cities are surging, much of the rural and impoverished regions of the country are left behind – which is why the concept of Opportunity Zones came about. The US government crafted a new section of the Tax Code (26 U.S. Code § 1400Z) in the TCJA. This created a new type of economic development program called Opportunity Zone Funds, which offer investors big federal tax advantages if they invest in targeted areas referred to as Opportunity Zones. An Opportunity Zone (OZ) is a US census tract that has been nominated by its state to be classified as such. The idea is to spur job creation and general economic development in regions that haven’t been able to reap the benefits of the country’s economic recovery. In order to qualify, a potential OZ must meet the law’s requirements for low incomes or high poverty rates. Opportunity Zones can be found in every state, in five US territories like Puerto Rico, and in Washington DC. Over 8,700 census tracts, which is about 10% of all census tracts in the country, have scored designations as OZs – and they can range from a few square blocks to massive swaths of land. Must I relocate in order to take advantage of an Opportunity Zone? Businesses don’t have to move to an economically distressed area to set up shop, nor do investors have to move to a designated OZ to take advantage of this new tax code. In fact, there is no need to live, work, or run a business in an OZ in order to score the appealing tax incentives. How do Opportunity Zones benefit investors? These tax benefits only apply if one invests in a Qualified Opportunity Fund (QOF), which is an investment vehicle created as either a corporation or partnership for investing in eligible property that’s geographically situated in a Qualified Opportunity Zone. – More than 10 years: Investor is then eligible for a bump up in the basis of the QOF investment equivalent to its fair market value on the day that the QOF investment is exchanged or sold off (whichever comes first). 2. Investors pay zero capital gains tax on any opportunity-zone investment they hold on to for at least ten years. Now, investors can avoid paying capital gains taxes by dedicating themselves to a long-term investment in a community that really needs it. The law is written so that only certain investments can qualify, to ensure that funds flow where they are needed the most. For example, a real estate fund whose main business involves investments in real estate properties can qualify as a QOF if 90% of the properties in its portfolio are located in an OZ. This way, the government is making sure that their tax incentives are only given to investment operations that can truly enrich a lagging local economy. Opportunity Zone investments aren’t a sure-fire success when it comes to return on investment (ROI), as many factors come into play. It’s best for investors to carefully strategize their QOF investments, as well as look at how other tax incentives (like local or state tax breaks) can be combined with the benefits of investing in Opportunity Zones. The recent Amazon turmoil in Long Island City (“LIC”) has left many scratching their heads and wondering, where did so much misinformation come from? Was this a case of inexperienced public policy analysis? Where were the economists in the room? Was the policy condemned because certain aspects of negotiations were held in secret, and perhaps some constituents affected by the decision were not consulted? And now, as the dust settles, do opponents recognize the impact of losing out on what would have been an incredible generational win for LIC and the people of New York? Many opponents of Amazon’s HQ2 LIC expansion and development project viewed the incentive package crafted by state and local officials as a nearly $3 billion-dollar handout from the government. However, a thorough examination of the details of the proposed initiative reveals a vastly different perspective. Did opponents truly believe that New York Governor Andrew Cuomo and New York City Mayor Bill de Blasio had an extra $3 billion to finance other public works projects? In truth, the reality is very, very different. By offering Amazon a compelling tax incentive package, the State and City of New York proposed a transfer of value, if you will, in return for direct economic investment in the local community. Amongst other commitments, the company would have needed to employ 25,000 full-time, high-paying and quality jobs; indirect support of an additional 82,000 jobs; approximately $2.5 billion in direct investment; 4 million square feet of energy-efficient office space developed with an opportunity to expand to 8 million square feet; and incremental tax revenue estimated at more than $27 billion over the next 25 years. And like all recipients of negotiated incentive offerings, the company would have been required to agree to a checks-and-balances regimen (compliance) to ensure it was delivering on its end. Failure to comply at any point during the lifecycle of the proposed incentives (e.g. not hiring as many people as promised) could result in a clawback, recapture, or forfeiture of the tax incentives. In losing out on the opportunity to become the next big tech hub in America, LIC also potentially lost tens of billions of dollars of ancillary and additional economic activity, property value increases, and vast improvements to public services to support the permanent infrastructure that would have been the benefactor of Amazon’s Big Apple expansion. Contrary to what opponents of this once-in-a-lifetime opportunity may believe, this deal had the makings of a truly sound economic development policy. Perhaps the location of the next Silicon Valley and vital tech-hub will be in another American city, but there is no guarantee of that. The competition for high value jobs and good corporate citizens like Amazon is global in nature and incentives have been cropping up around the world to woo them. The only thing we know for sure at this moment, is that it will not be in Long Island City. It should be added, the negative impact on New York will not be limited to this one event. How many corporations seeking to invest billions in new facilities and jobs will be willing to risk entering a good-faith negotiation with New York state and local officials only to have it fall apart in a PR nightmare at the last minute? Not only is the damage from this event potentially long-lasting, but the opponents’ hypocritical nature is also quite interesting. For example, consider the fact that Amazon’s HQ2 package paled in comparison to that of the expansive real estate development project about to open on Manhattan’s West Side known as Hudson Yards. To attract investors to this development initiative – which will include luxury retailers, major corporate headquarters, and residential buildings (with one-bedroom apartments renting for $5,000+ a month to penthouse condos selling for over $30 million) – incentive packages have reached over $6 billion according to public records (and a study by the New School), all without the outrage bestowed upon Amazon. Where is the opposition to this project? Would a project like Hudson Yards happen in the future, once investors reflect upon the turmoil to which Amazon was subjected? Capital will flow where it is well-treated, and the Amazon executives were balancing their fiduciary duty to maximize value for their shareholders while also seeking to create long-term, multi-billion-dollar investments as a good corporate citizen. Contrary to beliefs by opponents, New Yorkers are not $3 billion ‘richer’ due to HQ2’s failure to launch. Quite the contrary. The people of New York and particularly, the people of LIC and the surrounding areas, will never realize the potential benefit of billions of dollars additional tax dollars and increased economic activity flowing into their local economy. One of the interesting outcomes of the HQ2 story is that it will create a controlled economic experiment of sorts. Because there was to be two new headquarters, one in LIC and one in Crystal City, Virginia, it will be fascinating to observe the changes in economic wellbeing in say, five years, between LIC and Crystal City. Particularly, it will be interesting to look at the change in tax dollars generated from 2019 to some point in the future. It’s a fair bet to say tax dollar growth in Crystal City will far outpace LIC. Despite our belief that smart economic incentives are an inevitable fact of life in today’s technologically wired world and that they can present great outcomes for all involved, skepticism surrounding the checkered past of these types of arrangements is not misplaced. Critics can point to numerous circumstances where the government didn’t get what it bargained for. The reasons for this vary, from lack of oversight, lax regulation, improper cost-benefit analysis, and sadly, also due to greed and corruption among policymakers and certain recipients. That said, governments have an increasingly difficult time mandating certain economic behavior from companies and thus are having to find ways to entice desired behavior. This shift in the business/government balance of power is directly attributable to the proliferation of modern information technology. In today’s wired world, organizations large and small can efficiently manage assets and employees wherever they’re best treated and effortlessly conduct business through integrated information technology. 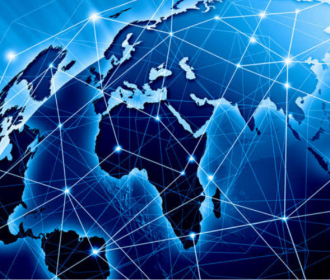 Bottom line: companies no longer need to have one physical ‘home base’ but rather operations can be managed from anywhere on the globe and at any given moment. Therefore, government at all levels must be smarter about working with businesses, and progressive legislative policy in the form of tax incentive packages are the best tools they have at their disposal to stimulate and encourage investment and compete in a global economy. Why? Because they work. Tax credits and incentives are simply a necessity in today’s economy so the real question is how can they do it best? The answer is technology and transparency. Can FASB 832 and Modern Tax Technology Dispel the Negativity around Tax Incentive Policy? We at The OIX believe that in this pivotal moment of regulatory evolution – with the approaching implementation of FASB 832, the logical descendant of GASB 77 – government at every level has a fantastic and consequential opportunity to embrace and improve tax credit and incentive policy. Through proper technology – coupled with a regulatory mandate to force best practices – businesses and policymakers alike can weigh the economic benefits, both direct and ancillary, which for the latter will result in legislating successful programs for the collective benefit of all its citizens and improving critical investment decisions by the former. These new regulations and the accompanying emphasis on disclosures and reporting are critical if incentives are to remain in the Government’s tool chest. With transparency and supporting data, taxpayers and voters will for the first time be able to formulate an informed perspective so as not to thwart a once-in-a-generation opportunity like AMZN HQ2 LIC. Now is the time to be smarter about dealing with the reality that companies use information technology to think and expand globally. With each passing year, an ever-increasing amount of global wealth is created. And with it comes growth in economic power, while political power remains relatively static and is generally limited to local geography. So, when a local government and a business from afar make an agreement that promises the creation of new jobs and investment in a community, how does the government confirm that specified conditions, job creation, and investment pledges (mandated to receive the incentive and tax advantaged treatment), actually happen? How do they know what’s occurring in real time? How do they measure the results of those new jobs and other economic impacts? Did those additional jobs increase or decrease taxable revenues to the jurisdiction? With respect to the subject at hand, how might the City and State of New York have been able to monitor what Amazon promised to deliver and share that information with taxpayers (proponents and opponents alike), and the very administration who drove the policy? The answer is quite simple: through modern technology and tax credit and incentive reporting and analytic solutions. While FASB 832 and GASB 77 were great first steps, the next logical bridge is the smart application of existing tax technology and specialized software designed to measure credits and incentives on every level. As this measurement requires transparency, the implementation of technical and reporting standards will allow companies to report compliance in real-time, which in turn will allow government to analyze results and ensure end-to-end compliance. We may be biased… but cue The OIX. The OIX Tax Credits & Incentives Management System, which is specifically architected to address government incentives, provides a layer of technology that helps companies manage their responsibilities and compliance needs related to maximizing their tax credits and conforming with regulation. From the other side, this technology offers the government a solution for monitoring a real timeline of deliverables and making those findings public. Learn more about why the world is taking notice of The OIX. The integration with CCH’s IntelliConnect And Business Incentives Navigator Product Suite delivers updated information on thousands of statutory programs in a timely manner. Commerce Clearing House (CCH) is a provider of best-in-class software solutions for tax, accounting and audit workers. The OIX and CCH recently announced the integration of CCH’s IntelliConnect and Business Incentives Navigator Product Suite into The OIX Credits and Incentives (C&I) discovery platform. This new combination will provide The OIX customers with detailed information on available economic development programs at the federal, state and local level. 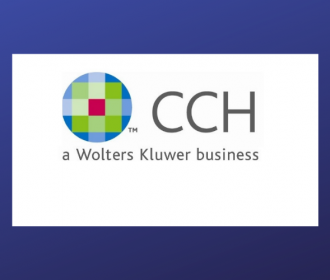 In addition, as the database is maintained by CCH in real-time, customers will receive legislative updates (on both existing and new programs enacted) to help them identify and take full advantage of available C&I programs. The complexity and confusion surrounding tax preparation can be daunting while running a business, regardless of size. Whether you’re a small, midsize or large multinational, the number of variables that must be considered in relation to an entire organization’s tax liabilities pose a complex challenge. A constantly changing tax landscape can impact your bottom line – most recently resulting from the 2017 Tax Cuts and Jobs Act (TCJA). Add to that a multi-state jurisdictional footprint and international activities and you then have a formula for complexity, confusion and missed opportunities. Over the last several decades we have witnessed a tirade of progressive fiscal policy that has resulted in an explosion of economic incentives and benefits issued by all levels of governments on a global level. These economic development programs and the assets they produce are too often overlooked in the day-to-day process of managing traditional tax compliance despite the significant and material cash flow derived and/or the reduction of your company’s annual tax bill. We are referring to tax credits and incentives (C&I), and you and your company have likely already considered the financial benefits as part of your investment decision-making process and the strategic decision-making process. These assets are the byproduct of direct investment, job creation and certain enterprise behavior (through the adherence to government policy initiatives and economic development program rules and regulations). The most typical outcome provides a dollar-for-dollar reduction that can be applied against tax liabilities owed to various levels of government (federal, state, local and international), but other benefits can include cash rebates, refunds, grants, abatements or certain government guarantees designed to promote good corporate citizenship and a win-win scenario. Historically, many business leaders have thought of tax credits and incentives as a “nice-to-have” that was usually nothing more than incremental and marginal economic benefits – or an opportunity for local politicians to tout community development campaign promises. However, as governments around the world have become more and more competitive in their attempts to stimulate their economies, attract the best firms, innovation and job creation to their communities, these incentives have grown to be material in every sense of the word. For example, while some of our constituents at The OIX manage a small handful of incentives that produce several million dollars of benefits, others are managing several dozens or hundreds of these assets resulting in over $1.0 billion + of economics and direct bottom-line impact, and regardless of magnitude, often a small team consisting of just a few people are making this happen. Think about that for a second; tax and incentive professionals at some of the largest companies in the world are adding potential billions or more to their companies’ bottom line. As more and more companies come to appreciate the scope and potential materiality of these types of assets, tax credit and incentive professionals will become more and more valuable to their company’s competitiveness and profitability. It is truly an exciting time to be a tax professional who understands the C&I world. And yes, we said tax planning and execution is exciting! Of course, C&I assets are not without controversy, as evidenced by the uproar caused, most recently, by Amazon’s HQ2 location selection and the multi-billion-dollar C&I packages they have received. Opponents of C&I often decry these programs as “corporate welfare” and nothing more than handouts. To add to the contention, various economic impact studies have produced wildly different assessments of actual economic impact. However, many of the anti-C&I studies ignore ancillary benefits – as the analysis is circumspect and ill-equipped to value the trickle-down effect, as well as to measure the long-term permanent infrastructure, quality jobs, and community development befits that these programs foster. But let’s be real here…what choice do governments have when it comes to attracting top tier businesses, innovation, and jobs to their locales? The government has but one tool in its arsenal to surgically stimulate economic behavior and its outcome to enhance the quality of life within its borders. Yes, C&I as smart fiscal policy. The fact is that the balance of power between economics and politics has been shifting over the past 70 years (and really since the Reformation and Renaissance) and while many factors contribute to this shift, the most prevalent is caused by the advent and deployment of real-time, global information infrastructure and information technology that allows businesses to operate on a global level and manage tax credit assets in real-time. At the same time, the government remains local and geographic in nature and has decreasing ability to dictate economic behavior it seeks from a business. Progressive fiscal policy that results in the most beneficial outcome requires lawmakers to judiciously legislate programs that make sense and provide measurable returns to taxpayer investment. So, the trend in C&I policy (from industry expanse to huge leaps in dollar amounts and number of programs enacted – most recently, as an example, Opportunity Zone incentives created through the 2017 TCJA) – all point to the inevitability that democratic capitalists governments really don’t have a choice but to find smarter and more efficient ways to incentivize businesses to stimulate growth. For companies and the recipients of these assets, the need to ensure compliance with the terms and requirements that these packages offer is ever more increasing. This is acerbated by new regulatory disclosure and reporting mandates governed by FASB Topic 832, set to take effect in 2020. Said another way, good corporate citizenship and smart political policy goals can co-exist in a mutually beneficial environment provided that there is enough visibility to ensure that all parties are living up to their piece of the bargain. (More on this in a future OIX Blog Post.) Unfortunately, historically, this asset has been a “grey” area for many C&I professionals and recipients. But fortunately, through advances in information technology and dedicated asset management solutions to address the sector there also lies the key to maximize the value of C&I programs and their benefits, and of course, we’re talking about The OIX’s tax credit software! In our view, credit and incentives are the most powerful and effective policy tools that government has at its disposal to surgically stimulate economic behavior that it deems vital to the growth and economic activity within its borders. Our goal at The OIX is champion smart C&I incentive policy and their use, and we deliver the technology to ensure that all parties in the ecosystem are doing their part to create the mutually beneficial economic outcomes as intended. Through this blog, we will make the case that tax credits and incentives should become a strategic component of every company’s financial planning process – from acquisitions, procurement, divestitures, hiring, capital market activities, facility development, and everything and anything that is considered when running a business in today’s hyper-competitive global arena, where winning and competing on the margins is essential. This rapidly growing asset class will continue to expand, and the companies that are best prepared to utilize and leverage policy will see higher margins and greater long-term profits. Please feel free to ask us any questions – we would really love to hear from you! You can reach us at info@TheOIX.com. So, how is it pronounced? We say it like it is spelled – The OIX (oʊ-aɪ-ɛks). Here at The OIX, you will find a group of tech-go-getters, policy-enthusiasts, economic-development-pioneers, adventure-seekers, as well as the cloud-based technology home of the world-class OIX Tax Credits & Incentives Platform! We know what you are thinking. Tax Credits? Tax Incentives? These subjects are normally associated with other words like snooze, dry, boring, confusing, etc. And yes, historically the subject of credits & incentives (C&I) could be described as any of those words. However, as these types of assets take on an ever-greater role in helping companies profit and succeed in today’s hyper-competitive world, we intend to demonstrate to you that far from being boring, these hidden gems are interesting, compelling in nature and fascinating at their core – and most importantly, financially and operationally material to overall corporate success regardless of size or location. This blog is intended as a two-way conversation with you, our readers, on subjects related to and surrounding C&I. Throughout these conversations we will share educational knowledge (from nuggets to five-course meals) for you to snack on throughout your week, give you some informational bits on the latest news and issues affecting C&I, and lastly and certainly most importantly enlighten you with a variety of perspectives and insights regarding this asset class so you can be in a position to leverage the tax code and help your organization compete and win on the margins. Don’t be alarmed if our conversations start with subjects like opportunity zones, football stadiums, M&A activity, renewable energy. Trust us when we say C&I’s are a game changer for every business that fosters job creation and community investment, across all geographies, and we are here to talk about it with you in gory detail. Even more importantly we would like to learn from you. Our goal: Educate. Inform. Enlighten. So you can: Compete. Profit. Excel. Moving forward we will share with you our perspective on the state-of-the-art technologies, strategies and best practices emerging in the C&I arena. But just as importantly, we will discuss where the industry may be heading. This will include discussions on the future of technology innovation in the C&I world and explore such things as big data, artificial intelligence, and advanced analytics, and the role of blockchain in the coming years. We will bring you interviews and insights from thought leaders across every aspect of the industry to share their ideas with our readers. By bringing to light these real-life case studies, our goal is to share best practices across the industry. When combined with deep analysis of government policies and objectives, we will hopefully create insights that will impact our readers’ competitiveness in the marketplace. But our intentions don’t stop at education and best practices – we aim to assist our clients in their professional goals, as we believe many of tomorrow’s corporate leaders will spring from the ranks of C&I experts and thought leaders who are our customers. As they say, knowledge is power, and our clients have command of a niche knowledge set which, when combined with cutting edge technologies, will give them unprecedented influence and status in their organizations. As one professional in the apparel retail industry remarked recently: “Six years ago we didn’t have a single tax credit or incentive. Today, we won’t open a store or hire a person without first considering what incentives are available to us. We compete on the margin and these assets can make a huge difference.” This is a common refrain we hear day in and day out and our clients are poised to ride this emerging trend to corporate success and professional growth. The OIX was founded in 2012 as a marketplace platform to enable businesses to transact in C&I assets on a principal-to-principal dynamic (i.e. trade tax credits) in order to create more value for everyone in the C&I ecosystem. In particular, The OIX sought to and achieved, vast reductions in the friction between buyers and sellers. The end result: Both buyer and seller got a better deal. Although our marketplace was and is the single most successful and robust trading platform of its kind, our long-term goal had always been to use that technology as a sort of bridge to building an enterprise SaaS solution to help companies manage tax credits over the life cycle of these complex financial instruments. The trading platform was our initial effort to generate revenue while we learned how to address the complex dynamics of managing every kind of C&I from around the world. We’re happy to say that after years of hard-core R&D and working with clients in real time, in late 2017 we achieved that goal and in early 2018 we pivoted out of trading as a primary business (we still partner with the best brokers in the world who use our system to assist our clients optimize their tradable C&I assets) and into the de facto standard for enterprise SaaS management of C&I assets. 1) OIX Advisory Solutions – we partner with the best of breed advisory firms of all sizes to deliver an integrated and seamless solution to determine what tax credits and incentives are best for your situation around the globe. 2) OIX Credits and Incentives Platform – once you have secured C&I assets for your particular situation, you need to intensively manage those assets through their lifecycle. No other solution comes close to the breadth and depth and ease of use of The OIX platform. 3) OIX Brokerage Solutions – and when your C&I assets are maturing, you have the option of instantly connecting with our brokerage partners to optimize the value of tradeable tax credits that you cannot use internally. Welcome to the party of Tax Credits and Incentives! If you just can’t wait for our next blog to go live, we totally understand! 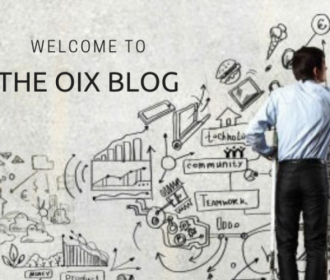 Just move on over to our homepage to find out more about The OIX’s tax credit and incentive management solutions, or visit our Press Page for current and archived media coverage and thought leadership initiatives. The OIX provides cloud-based enterprise technology solutions designed to help your company maximize economic development programs, leverage tax credits and incentives to gain economic benefits, and remain compliant from project inception through monetization. Learn how The OIX Product Suite and our comprehensive packages can be used to achieve strategic objectives. Manage statutory or negotiated requirements in order to remain compliant and satisfy rules and regulations to achieve incentives. OIX Systems will help you stay on top of obligations, and provide reminders and alerts to notify in/out of compliance. Create a library of templates to manage the processes around acquisition, compliance and monetization. With great precision you can customize workflow to meet statutory or internal processes, and collaborate internally and/or externally to gain greater control. Discovery and interpretation and measure the value of your entire portfolio; identify how credits are being "utilized"; map various data-points against one another to discover meaningful patterns for statistical analysis, and gain insight into valuable areas rich with recorded information. Highly configurable reporting system which enables you to organize, filter and customize data points to manage reporting and compliance needs. Create a customized library of report templates, run in real-time, export, archive, distribute. FASB 832 compliance needs at your fingertips. State-of-the-art and proven transactional processing systems to automated back-office operations and scale broker/syndicator businesses. Couple OIX tech with white-label deal rooms and OIX Platform integration to bring your brokerage or syndication business to the next level. As The OIX continues to innovate our product suite, we release “new feature updates” to our customers to support use of our systems, and provide guidance on how to best manage and maximize tax credit and incentive assets. Through collective learnings and implementation of proprietary information technology tools and applications, The OIX product road-map will continue to bring best-in-class practices and solving solutions to your organization. The OIX provides secure and integrated technology solutions for tax credit & incentive management and administration. OIX's cost-effective solutions streamline forecasting, reporting, analysis, monetization, workflow and compliance and internal processes for credits and incentives on a global basis.